Please keep reading. Flower and Thumper are incredibly loving cats. We know that there is someone out there for such a very, very special duo. This brother and sister pair have radial hypoplasia, a condition where they were born with abnormally short and twisted forelimbs. Despite this, they live a typical indoor kitty life. They are mobile, use the litter box, and can jump up on the sofa or bed to snuggle with their humans, which is by far their favorite thing to do! If you are curious to know more about Flower and Thumper, please do reach out to us! 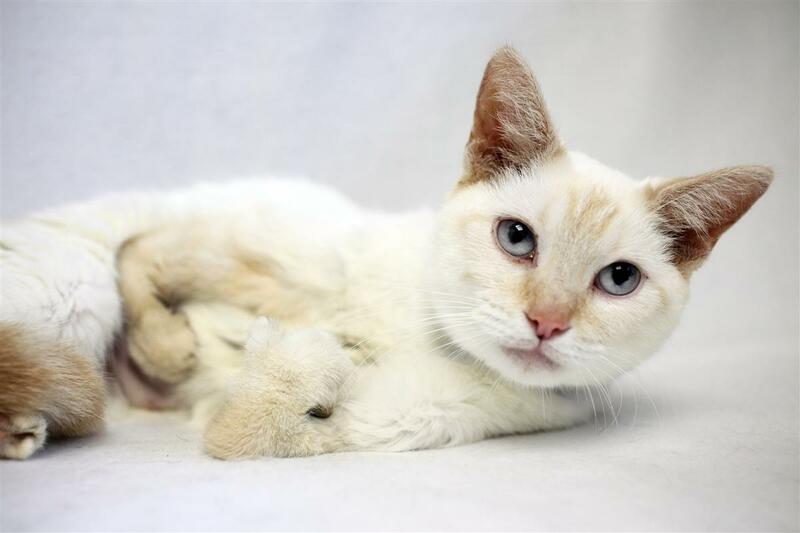 Saphira is a beautiful blue-eyed white cat who loves nothing more than sleeping in the sun. As most white, blue-eyed cats, she is deaf and needs to be warned before you approach her - tapping on the sofa/table/windowsill seems to be enough. She purrs constantly and loves to rub up against you and will cuddle in your lap once she gets to know you- but doesn't so much like to be picked up. 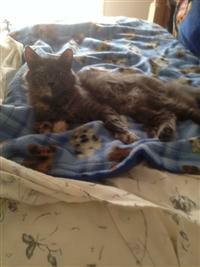 She would do best as a single cat with a very patient and understanding owner. She may take a while to settle in, but she is guaranteed to steal your heart. I was rescued from a rural shelter with my wee kittens. My kittens have all found homes, but I'm still waiting for my forever home. I know it may take awhile because they tell me I tested positive for FeLV. While I know this means I may have a shorter life than other kitties, I don't let it bother me. I spend my days playing and showering anyone around me with love and purrs. Just looking at their sweet faces, it is hard to fathom but Tracy and her mom Edna ended up at a high kill shelter where they were scheduled (twice) to be euthanized. The shelter said that they are "incredibly sweet and absolute loves and totally deserve a place to go". When we saw them and heard their plea we said we would take them - how could anyone turn them away! They love other dogs and do not need to be adopted together. In fact, when we got them they had already been separated as each one went to a different foster home until we could arrange for their transport. If you are interested in either or both please let us now. Princess has a seizure disorder that requires medication twice daily on a strict time schedule and monitoring. 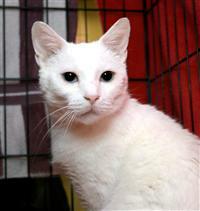 Jack Frost is a sweet, happy-go-lucky boy who gets along very well with his foster family's 3 dogs and 2 cats. Jack Frost is housebroken and crate trained. He's good on walks, but can get a little excited when he sees wildlife. He loves his human and canine pack and will snuggle up contentedly on a dog bed with another dog when we are watching TV. He's good with our teenagers, but we're not sure how he is with young children. 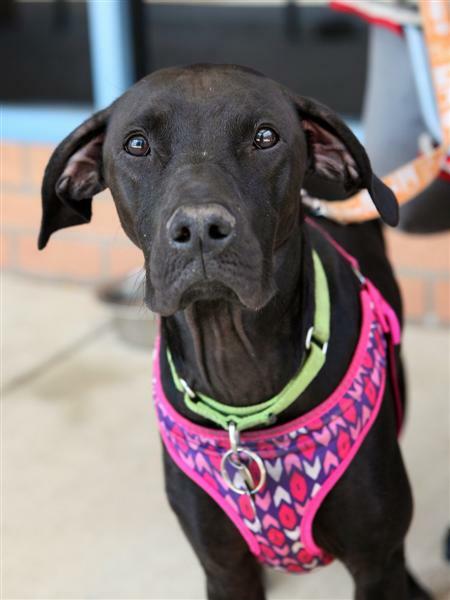 Jack Frost is very agile and can climb a fence, so he needs to be placed with a family that can commit to leash walking him. He's a great companion who has a perfect activity level and size (42 lbs.) for an apartment or townhouse. Jack Frost has Diabetes Insipidus which is controlled by one eyedrop twice a day. 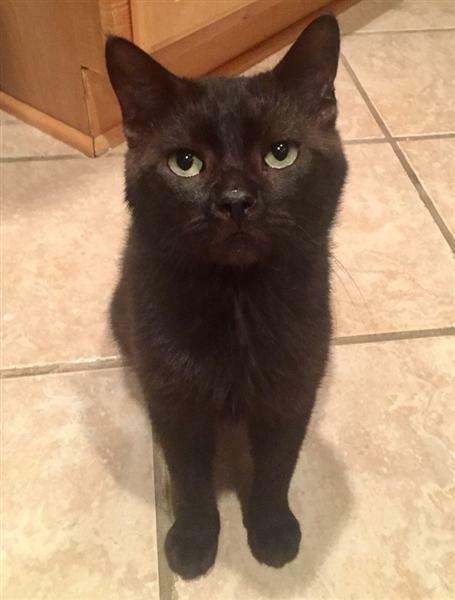 Scout was being turned in to a kill shelter by his owners. Knowing that he would be put down immediately, a fellow rescuer made sure this didn't happen. There are not many people interested in a blind dog. Scout's former owners said he has been blind for the past two years. Scout will be taken to an eye specialist to see if anything can be done for his eyesight. With help, he navigates very well. 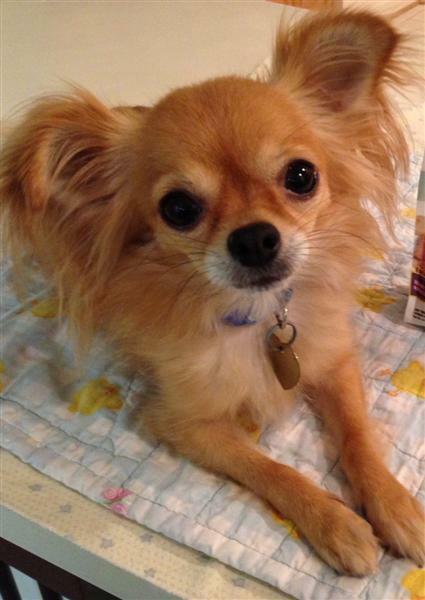 He is crate trained, loves to go for walks and loves to snuggle with humans. This special guy deserves someone who will love and protect him for the rest of his life. UPDATE: Scout was seen by the eye specialist, and unfortunately, he has irreversible nerve damage, so his sight cannot be restored. Luckily, he has no discomfort from this condition. 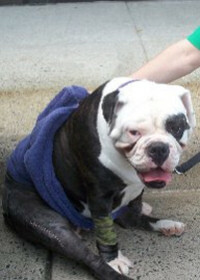 Lola is a sweet Olde English Bulldogge who desperately needed HART's help. Lola had something wrong with her hind end and was scooting around like a seal. Lola had the problem for some time but her previous owners declined to do any diagnostic testing to see what was wrong. Because of Lola's condition, she was turned away by many other rescues, but not by HART. She was taken in and brought to a vet to get the care she needed. It turns out that Lola had hip dysplasia, bilateral luxating patellas and a torn ACL. 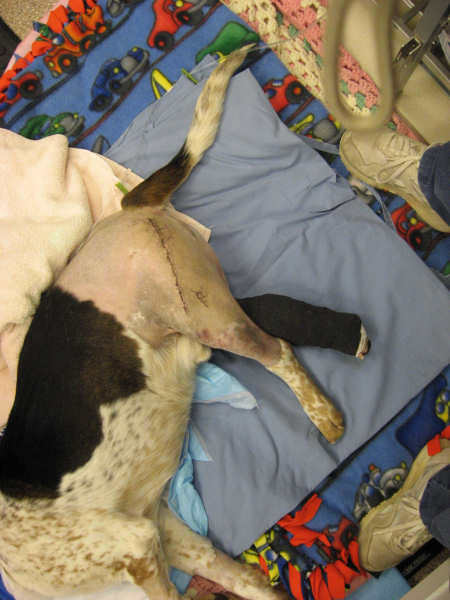 Lola immediately had the surgery she needed on both knees. Lola is recovering nicely from her surgery and will be available for adoption very soon. Lola's days of scooting around like a seal are over. While she will be on low activity for a few more weeks, it is hard to keep her still. Lola is enjoying long walks without having to sit and her real personality is coming out. As far as Lola's hips -- they do not seem to bother her at all and hopefully with proper weight management she will be fine. Lola's medical expenses to date are over $3,500. HART can only continue to take in cases like Lola with your help. 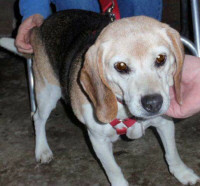 If you would like to sponsor Lola to help pay for her surgery, please click on the link below.! Visit Lola's Page for more details! Trooper was rescued from King William Shelter after being hit by a car on April 20, 2009. Trooper had breaks in both hind legs as well as his hips. He was covered in ticks, which compromised his blood count. He was transported to HOPE Center and is being cared for. He had a blood transfusion and had his first of two surgeries on April 27. Two days later, after receiving another blood transfusion, his right side was repaired. His pelvis is expected to heal on its own. Trooper's spirit has been nothing short of valiant. Despite his excruciating pain, his tail -- the only part of his rear quarters that worked -- never stopped thumping. He never snapped or even cried out as he was being moved and handled. Trooper has enchanted all of the medical staff who worked with him with his sweetness and his courage. He has responded well to his surgeries but faces lengthy rehabilitation. Clearly, his medical bills will be huge. Won't you help by sponsoring Trooper? 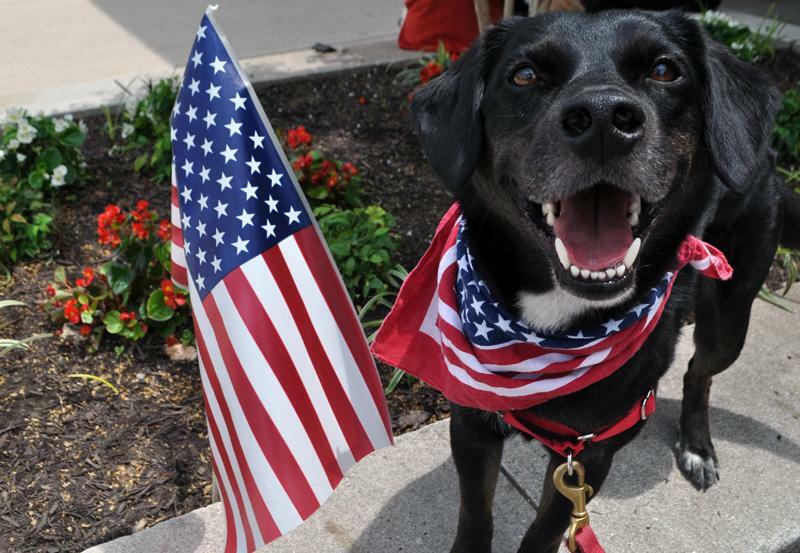 Visit Trooper's Page for more details and photos of Trooper!